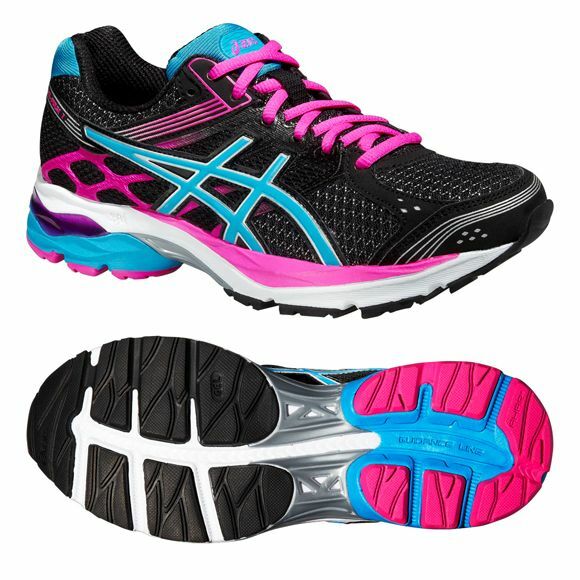 The Asics Gel-Pulse 7 ladies’ running shoes are 260g (9.2oz) cushioning trainers made to comfort your every step. The Rearfoot and forefoot GEL® cushioning system makes your running more enjoyable and comfortable by reducing the shocks from impacts. Your natural gait efficiency is improved by the Guidance Trusstic System® and the Guidance Line® and vertical flex grooves in the outsole. The SpEVA® midsole has a removable sock-liner for additional cushioning and allowing the shoes to be aired. The rubber outsole uses blown AHAR+ material to improve ride, cushioning and durability and 3M reflective material in the upper makes you more visible when running in the dark. for submitting product review about Asics Gel-Pulse 7 Ladies Running Shoes AW15.